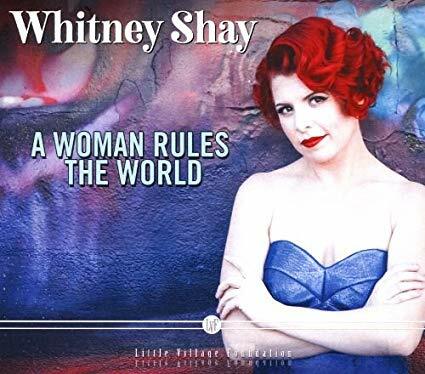 I just had the opportunity to review the most recent release, A Woman Rules The World, from Whitney Shay and it's lively. Opening with pop track, Ain't No Weak Woman, lead vocalist Whitney Shay is joined by Jim Pugh on piano, Kedar Roy on bass, Sax Gorgon Beadle on sax, and Alexander Pettersen on drums. Slinky Blues Down Home settles down into a nice groove with full sax and trumpet punctuation by Beadle and John Halbleib respectively. A solid sax solo by Beadle, harp work by Aki Kumar and piano and organ work by Pugh gives this track real oomph. With a rolling R&B feel, Love's Creeping Up On Me has great feel, with super vocals, stinging guitar riffs by Igor Prado and nicely blended vocals. One of my favorite tracks on the release is title track, A Woman Rules The World with super vocals by Shay and Lisa Leuschner Andersen, nice guitar phrasing by Andersen and an overall great soul feel. Freedom has a soulful strut with a great bass line, tight drums and powerful bari sax work by Beadle. With a funky bottom, Shay's best vocals shine on Get It When I Want It. A nicely woven instrumental backing of organ, slide guitar, organ, piano and drums, this track it hot! Soulful ballad, Empty Hand, is laden with rich organ and sax giving Shay a perfect stage to belt out the blues and Beadle get yet another chance to lay out a super sax solo. Wrapping the release is rocking R&B track, Get Down With It, with all of the enthusiasm of Little Richard, driven by Pettersen on drums and Pugh on piano. Beadle's sax soloing and some cool guitar work by Andersen put a bow on this one. Very cool.